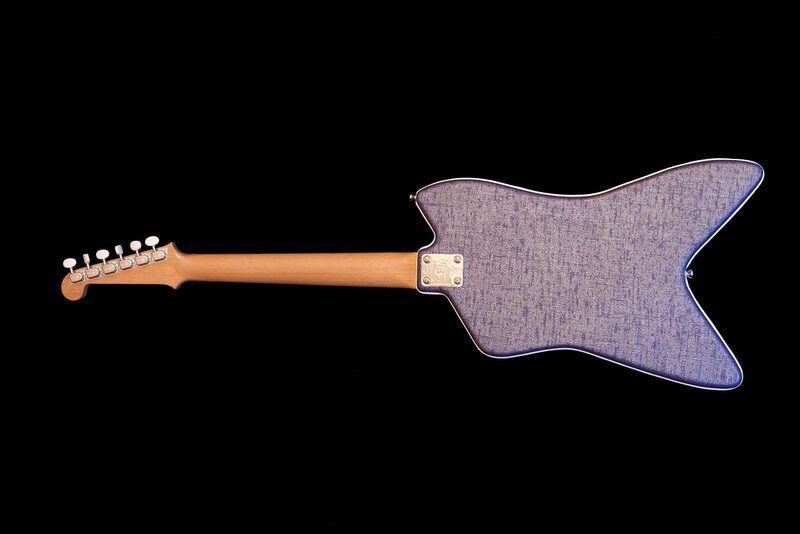 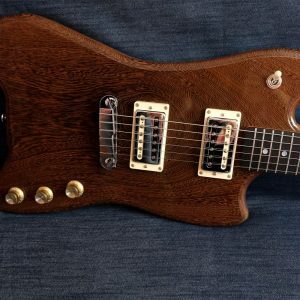 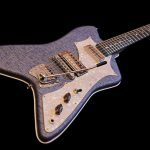 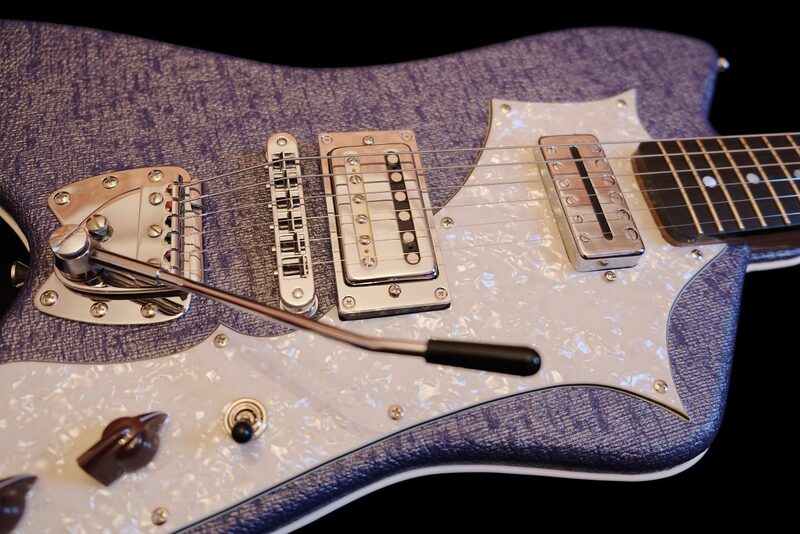 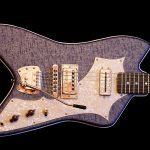 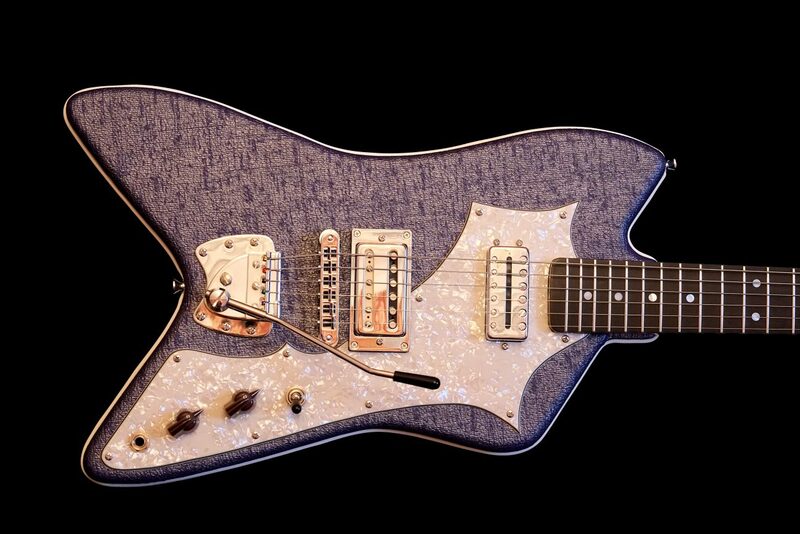 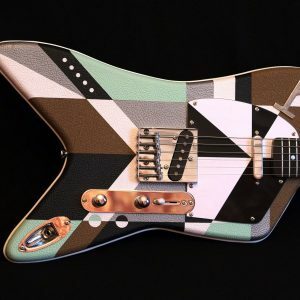 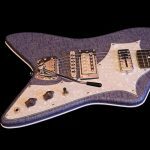 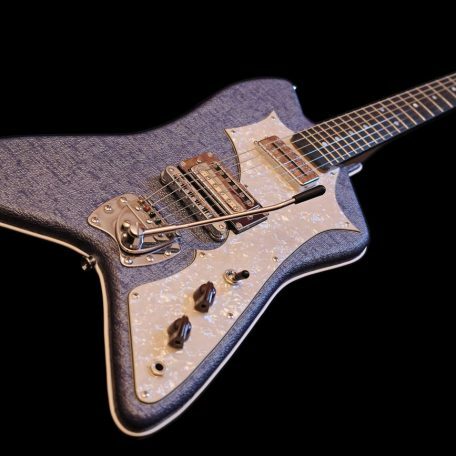 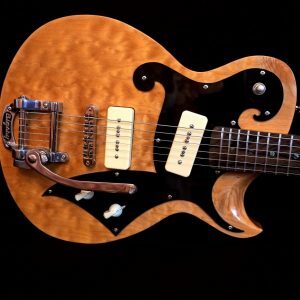 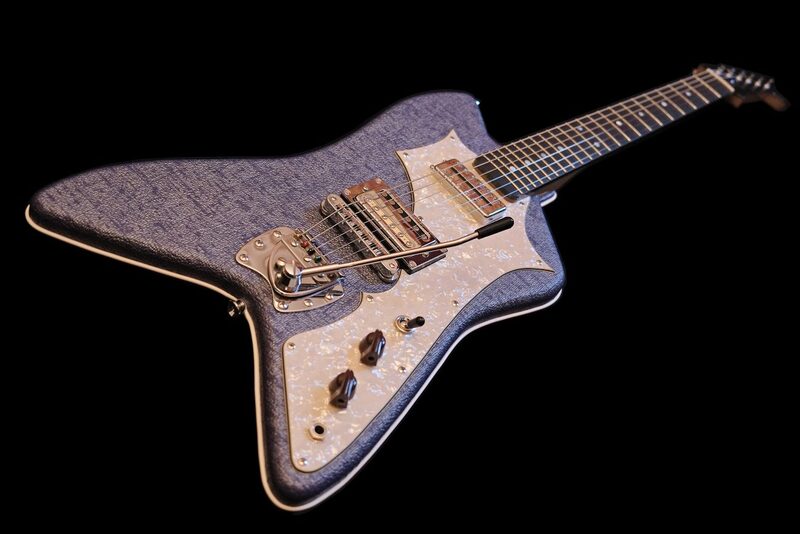 This guitar is a custom ordered Cadillac Coupé, featuring a new-old-stock Hagström Tremar vibrato and a vintage Maxon humbucking single coil pickup in the neck position. 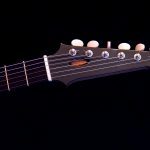 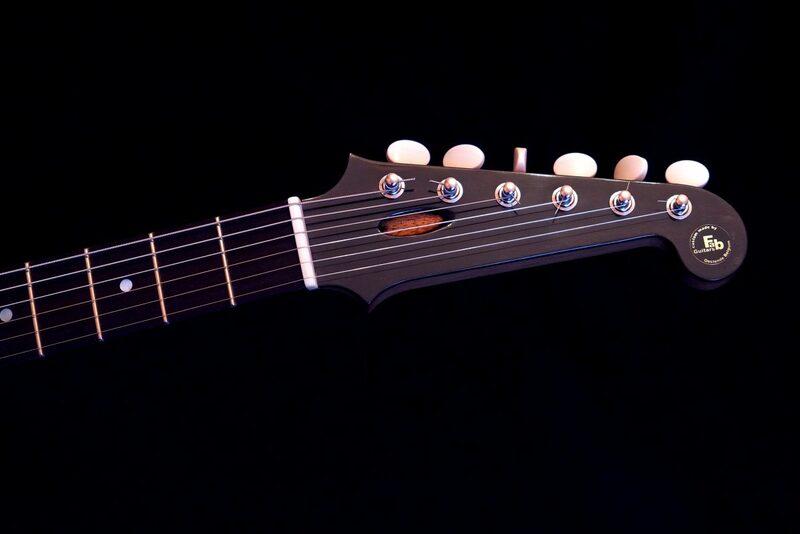 It’s a thin solid body made of Honduras mahogany, with a Spanish cedar neck and ebony fretboard. 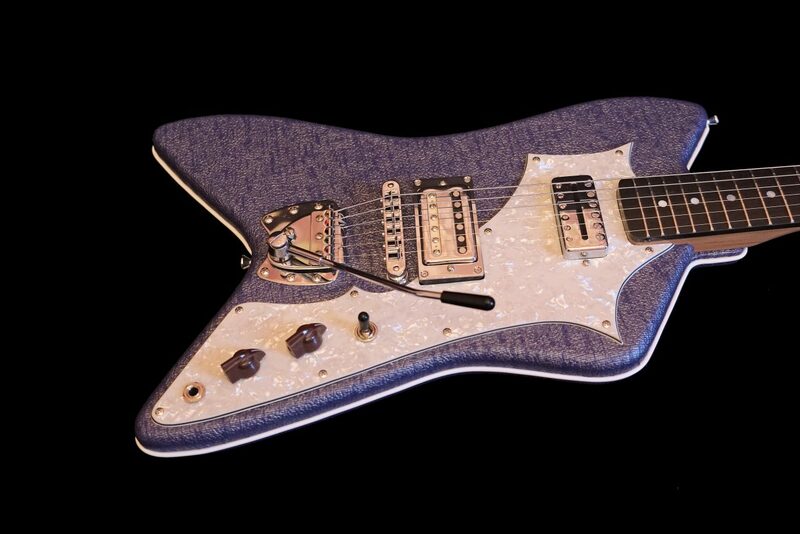 The body is covered in Vintage Blue Fawn leatherette and has a white piping side trim. 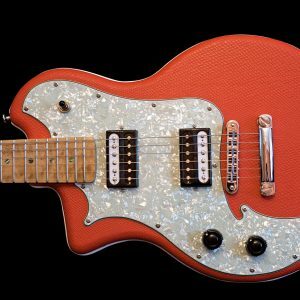 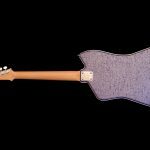 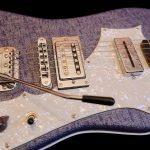 The bridge pickup is a handwound humbucker with paf specs, slightly under-wound to give it a crisp, transparent character. 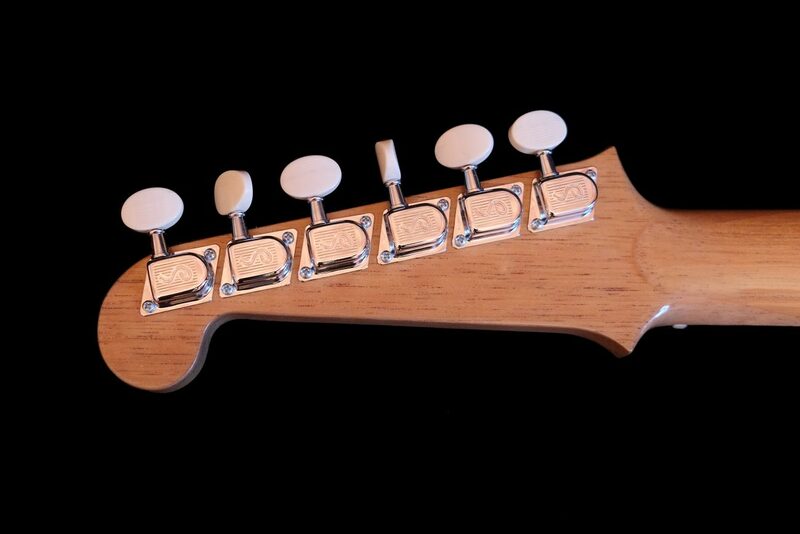 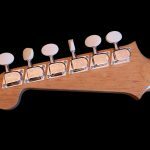 The classic tuners and tunomatic bridge are German made by Schaller, the total weight is less than 3300 grams.